Smart galloper Pass The Post put her best foot forward at Sale on Sunday with a dominant five length win in the $17,500 Quest Sale BM64 Handicap (1726m). Leading all of the way in a tactful ride from Jarrod Fry the daughter of Untouchable continued to vindicate the high opinion we have of the mare in what was her fifth career victory. Sent out as $4.20 second elect - the six-year-old was freshened four weeks inbetween her latest assignment when finishing second in tougher company also at Sale. Her campaign had been solid with a close-up fourth first-up from a spell while she recorded a win and placing at Moe. 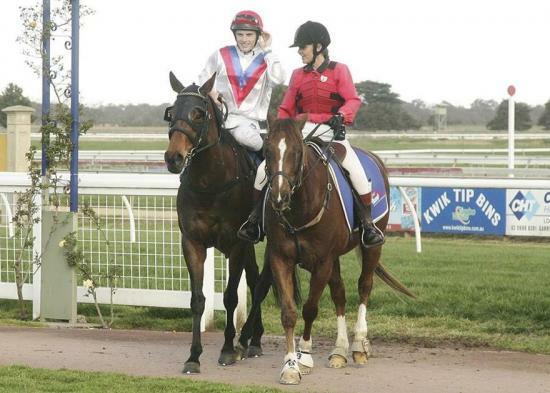 A multiple metropolitan winner in 2012 with wins at Sandown and Caulfield - she has turned into a great money spinner for connections with earnings now passed the $100,000 barrier. Pass The Post is continuing in the footsteps of her pedigree page - hailing from Park Hill's Flyer a half brother to Better Loosen Up! From her eleven foals eight have been winners most notably stakes performer Flying Ruby. Her progeny have collectively won 39 races between them. We are sure in the vein of form she is in Pass The Post will continue to add to this tally.